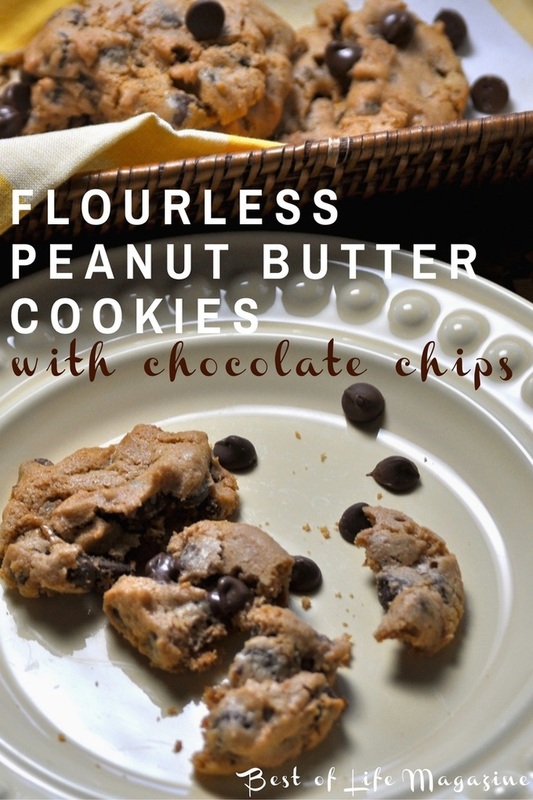 Are you looking for an easy, flourless recipe with the added joy of chocolate chips? These delicious flourless peanut butter cookies provide the perfect mouth watering combination of sweet and salty and the chocolate chips add texture and flavor everyone will love! Baking without flour can be a bit challenging but you don’t have to sacrifice flavor once you learn a few cooking tips. 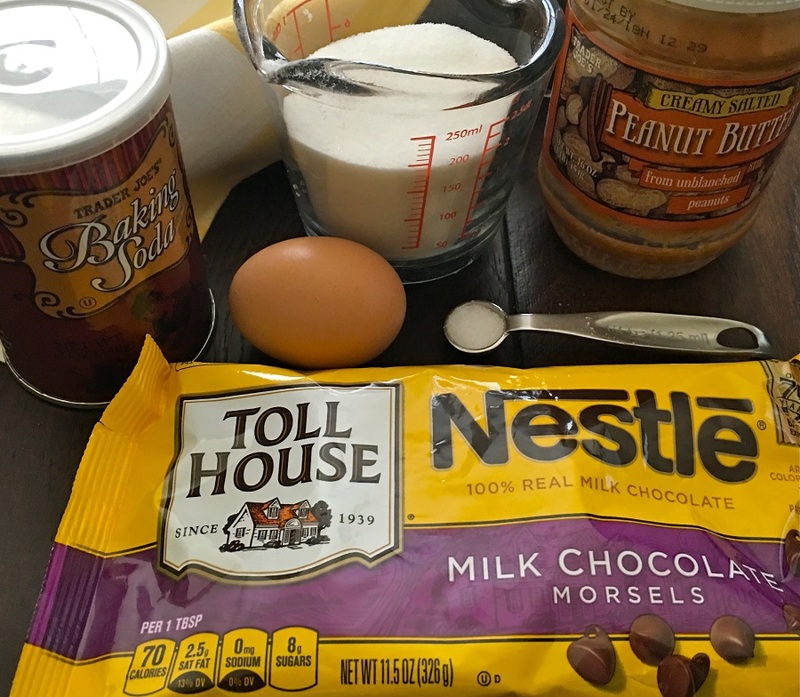 The ingredients for these easy flourless peanut butter cookies are simple and be sure to pull the family in to make baking a fun together time. 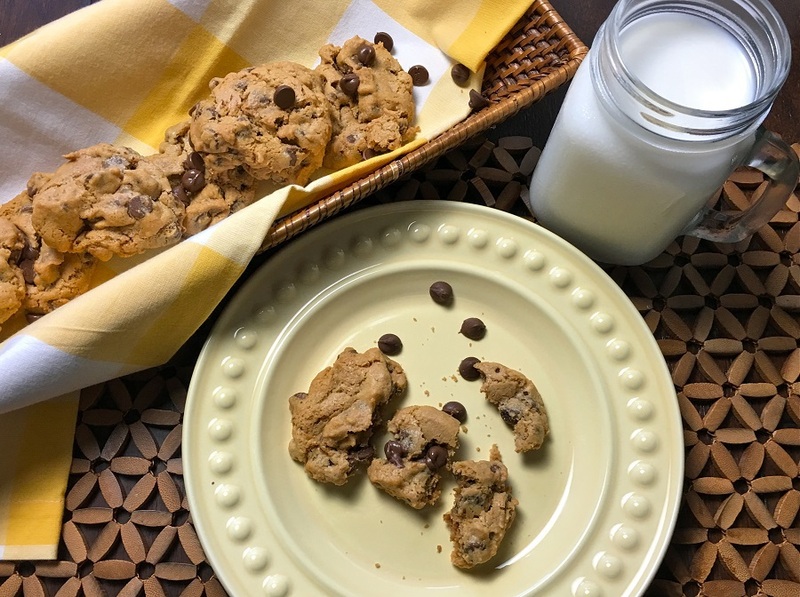 We love baking in our home and this recipe is the perfect reason to gather family and friends to enjoy these flourless peanut butter cookies with chocolate chips! 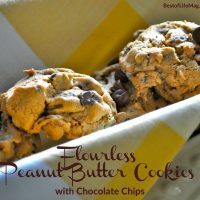 The ingredients for these easy flourless peanut butter cookies are simple and easy to find at just about any grocery store. Be sure to pull the family in to make baking a fun together time for the entire family. If you don’t have kids, then make these cookies of deliciousness together for date night at home. I promise, they will thank you! 2. Gather all of your ingredients and put them into a mixing bowl together. Stir until well mixed. 3. Once your batter is mixed, place rounded teaspoonfuls of batter onto an ungreased cookie sheet. Be sure they are about two inches apart so they have room to bake. 4. Bake your flourless peanut butter cookies between 12-14 minutes. This will be on the higher side if you have larger cookies and will vary depending on your pan color. 5. Let the cookies cool for 5-10 minutes and enjoy! While your cookies are cooking, involve your children and have them pour glasses of milk for everyone. If they love setting the table with special dishes, get those out and let them have some fun. Our daughter loves baking but also loves setting the table and making the actual eating of recipes fun as well. And chores are important for kids so involve them by cleaning up as well! Gather all of your ingredients and put them into a mixing bowl together. Stir until well mixed. Once your batter is mixed, place rounded teaspoonfuls of batter onto an ungreased cookie sheet. Be sure they are about two inches apart so they have room to bake. Bake your flourless peanut butter cookies between 12-14 minutes. This will be on the higher side if you have larger cookies and will vary depending on your pan color. Let the cookies cool for 5-10 minutes and enjoy!